Incessant wind… a dirge of clawing violins on repeat… ’Doom’ on his hands and knees, crawling ever closer with each sunset, along his impending trail of inevitable cataclysm, until finally he reaches the desolate cottage on the Hungarian plains. 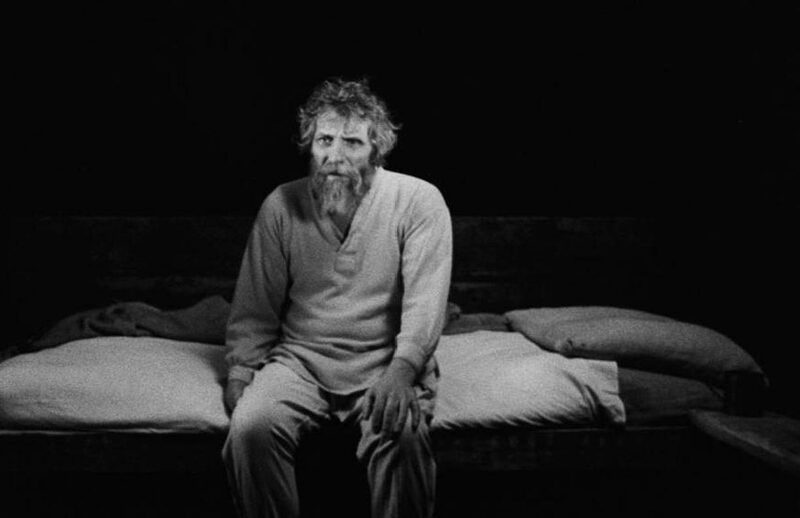 An elderly man driving his horse and cart, battle through an abrasive gale along a country road, escorted by Mihály Víg’s vulturous score, reminiscent of Philip Glass’s composition for ‘Candyman’, until they finally reach an isolated cottage. A woman steps from the shadows of a barn to help the old man unbridle the horse and lead it to stable and rest. The bait is eaten as we are reeled in by our temptation to find out what happens next…not much and yet so much. 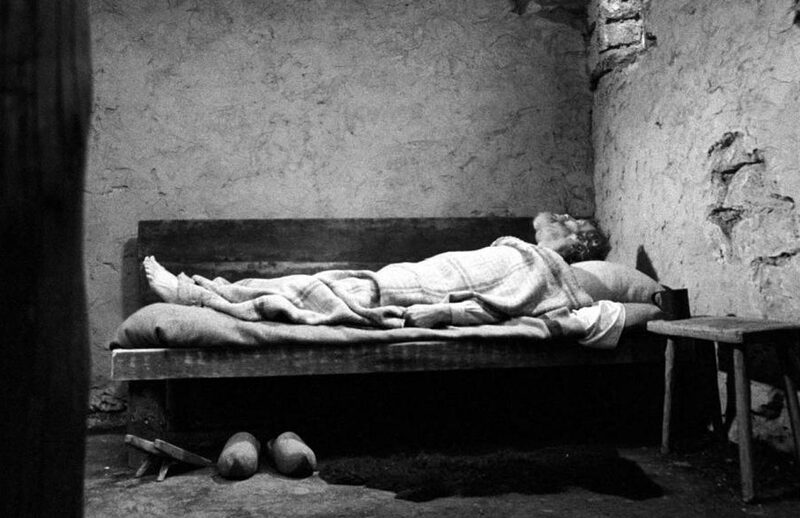 No names, no histoire and a minimalist script, Béla Tarr leaves us virtually at the mercy of the mesmerising, monochrome cinematography of Fred Kelemen. From the unbuttoning and buttoning of tattered clothes, folding of linen and the skinning by hand of hot boiled potatoes to reach the piping flesh; the daughter’s gruelling daily walk to the well in the prophetic wind to fetch water, we watch almost as if in real time 6 days of peasant hardship, grind and repetitive misery, that are the lives of an old man and his daughter in their dark, aged cottage whilst Abaddon rages outside. 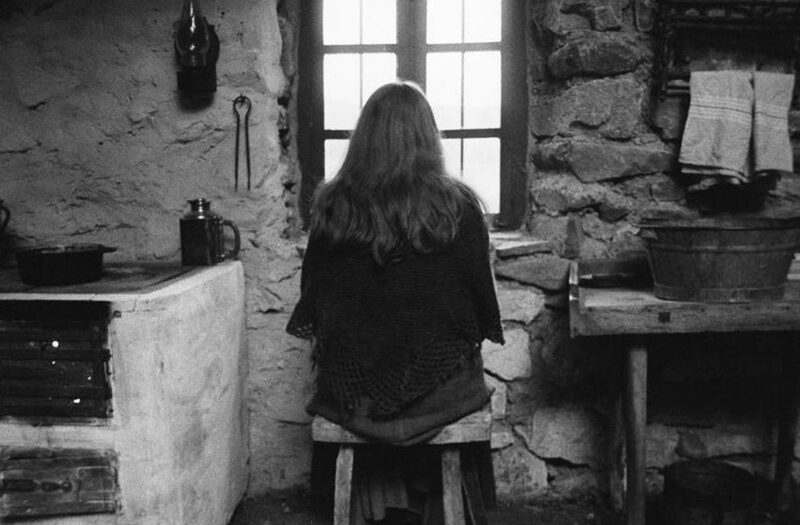 Tarr’s appreciation of such adversity brings us perhaps as close as we can come to watching how our 19th century peasant forebears lived, and is almost the triumph of the film, but not quite. Whilst the camera focuses on a black blizzard of bird-like leaves wheeling through the foreground, the father and daughter leading their horse, their well now empty of water, attempt to escape the world counting down to oblivion. Their tragic out of focus figures wrestle along the distant horizon of a ridge with a single tree. 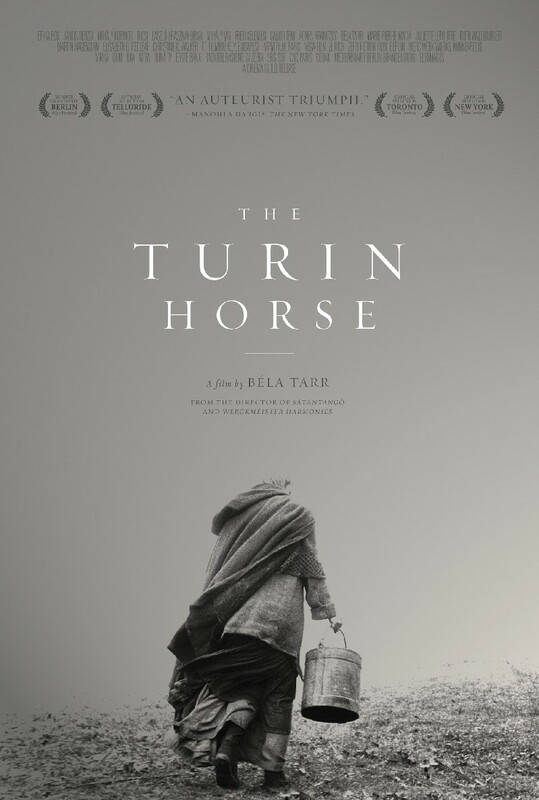 The triumph of the film is the horse. Her dignity, the majesty with which her whole being seems to say ‘humanity you led us all to this, and now there is not even water to drink’. The horse is our prophet, her intelligence far surpasses ours as she warns us life as we know it is over, that we have lost light and we are now plunging back into the darkness before creation, by man’s hand and Nature’s. 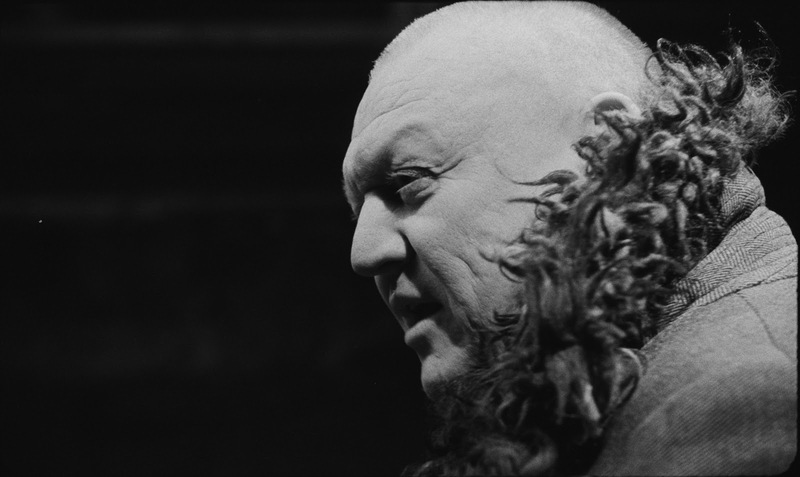 Great imagery from Tarr, and a compelling review that makes me want to watch it. Job done, Jane. Great write-up! Loved this movie very much, one of the best I´ve seen the last couple of years, timeless masterpiece, shame he decided this to be his last, but what a great end!